Is Jesus Awakening the Muslim World? Pastor Tom Doyle has spent 11 years as a full-time missionary in the Middle East and Central Asia, spreading the Word of Jesus Christ. 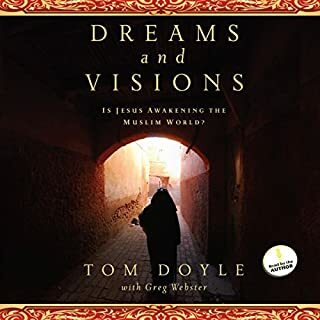 Throughout his journey, he has encountered a staggering number of Muslims who were first introduced to Jesus through a vision or dream so powerful they eventually turned from their lifelong religion of Islam and embraced Christ as their Savior. There are nine rooms in the House of Islam and the Wind of God's Spirit is blowing through every one of them. David Garrison spent three years travelling a quarter of a million miles through every corner of the Muslim world to investigate reports far and wide of Muslims turning to faith in Jesus Christ. In this amazing odyssey, Garrison gathered the stories of more than a thousand Muslim-background believers, asking them the question: What did God use to bring you to faith in Jesus Christ? Tell me your story. The Zondervan Biblical and Theological Lectures series provides a unique audio learning experience. 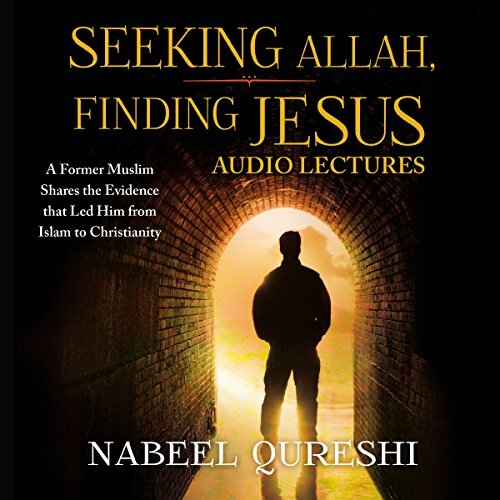 Unlike a traditional audiobook's direct narration of a book's text, Seeking Allah, Finding Jesus: Audio Lectures includes high-quality live recordings of college-level lectures that cover the important points from each subject as well as relevant material from other sources. 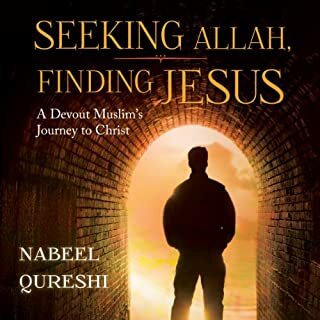 Seeking Allah, Finding Jesus: Audio Lectures develops in further detail the objections to Islam and case for Christianity that Qureshi introduced in Seeking Allah, Finding Jesus. 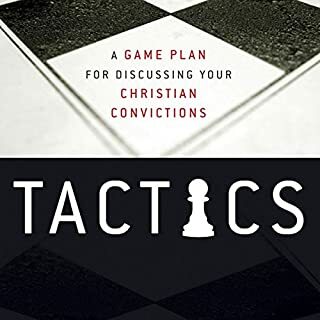 This accessible course is perfect for adult classes, small groups, segments in college or seminary courses, and motivated independent learners alike. 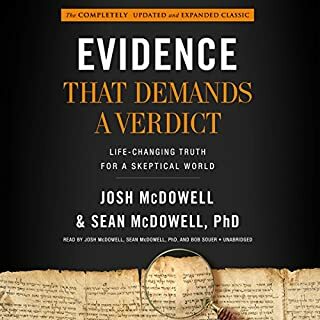 I listened to the entire audio book (a different product from this) before I listened to these lectures, and I highly recommend both! They vary in format as well as information presented, so it's worth it to listen to both. Nabeel was known for sharing his story of converting from being a devout Muslim to whole-heartedly following Christ. He walked us through his journey in the book, but in contrast, these lectures were him offering advice for helping lead Muslims to be open to Christ. Nabeel humbly reminded us that we are simply helping them along, but that God does the real work. The lectures include invaluable tips about what's considered polite/offensive to Muslims (both regarding speaking about religion, as well as simply being polite to the culture) and common pitfalls to avoid. He was a med student, so Nabeel was intellectual and logical by nature, and that was his method for Seeking Allah, Finding Jesus. I'm so glad that Nabeel is the narrator, since his genuineness is always evident, his American dialect is easy to understand, and his voice was quite pleasant for listening. I live in a semi-rural area 70 miles east of Pittsburgh, so I don't personally know any Muslims. I began Seeking Allah, Finding Jesus more as an academic exercise to enhance my knowledge of another culture, as well as to firm up my own faith. Both goals were certainly accomplished! 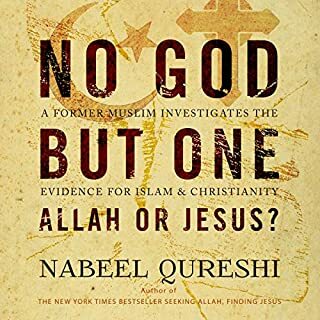 Though Nabeel did mention at the end that his goal is to help the listener to share the gospel with Muslims, not just merely to cure an academic itch. 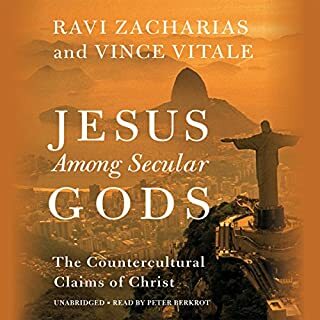 That said, I have already brought up Seeking Allah, Finding Jesus (both the book and lectures) in conversations with former Christians that have stepped back from religion in favor of being more scientific, so while that audience wasn't Nabeel's intent, I feel that his logical and highly researched/studied view of Christianity can be used to appeal to intellectual audiences of all kinds. This was wonderful to listen to. I really enjoyed it. I listened to the entire audio book within just a few hours, because I couldn't put it down. I enjoyed hearing the story told by the author himself. I pray that God would continue to use Nabeel's story to reach people for Christ. Thoroughly explains where Muslims are coming from and gives great supporting evidence for Christian faith. What a deeply wise man. May His soul Rest In Peace and blessed are we that God has used him to reach and enlighten so many others. Me included! Very informative, practical, easy to listen to and highly motivating in sharing Christ with others. What a legacy to leave for us who need to learn. Easy to listen to and amazing facts.